The title for Suriya’s 37th film, Kaappaan, was announced on New Year Day few days back. Being directed by KV Anand under the Lyca Productions banner with music by Harris Jayaraj, the film touted to be an action thriller includes a massive star cast featuring names like Mohanlal, Arya, Samuthirakani, Boman Irani, Sayyeshaa among others and will likely release by mid-2019. With massive expectations already surrounding Kaappaan, director KV Anand took to his Twitter page today to reveal that a song is at present being recorded while conveying his birthday wishes to the film’s composer, Harris Jayaraj. 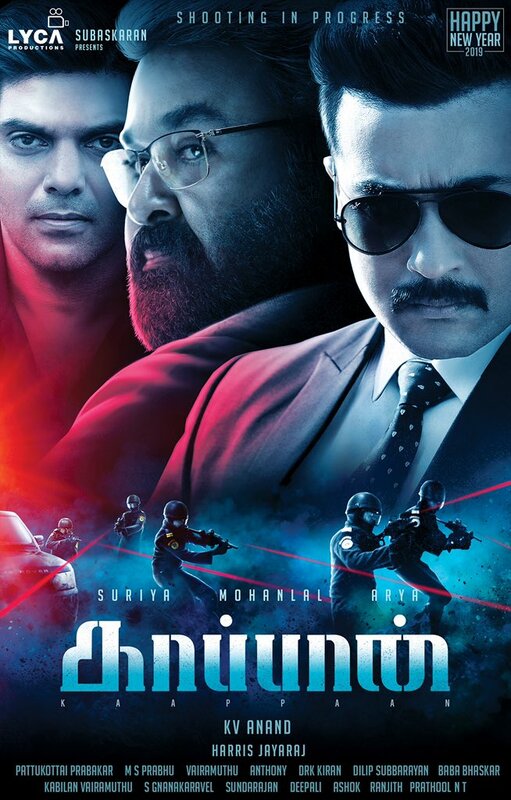 The excitement for Kaappaan has been high since the day of the project’s announcement as it marks the third time reunion for Suriya and KV Anand.